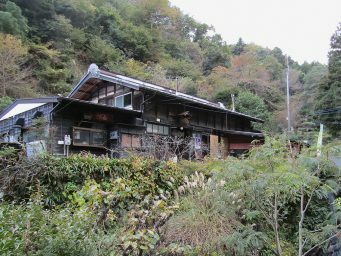 Our latest Wednesday afternoon hike (check out our recent jaunts in Ogawa and Tokorozawa’s Totoro Forest) took us into the foothills of the Okuchichibu Mountains and nearby Hannō City. Back in May, we met a couple Japanese ladies on our way to another hike in Hannō who suggested we try the trail to Neno-Gongen Temple. 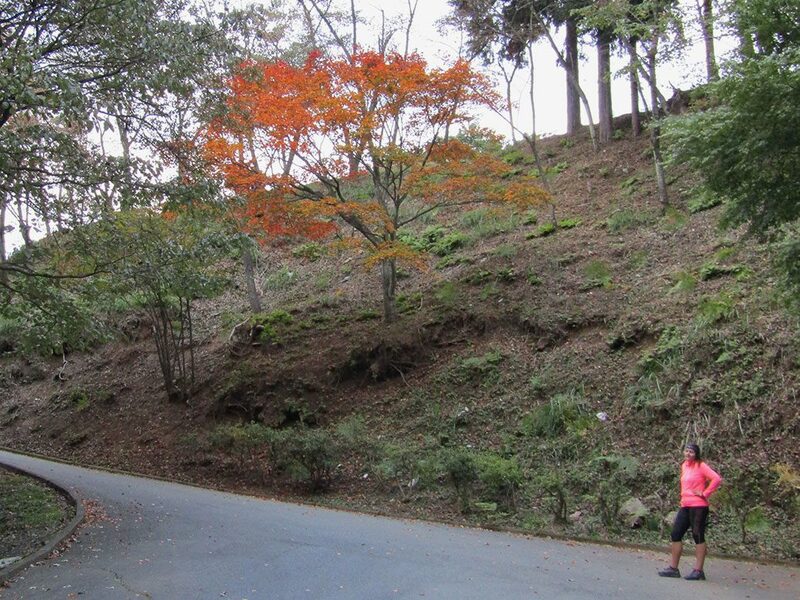 The city’s website provided a basic outline of the hike advertised as the Ancient Temples of Oku-Musashi. I mapped it out in detail to ensure we wouldn’t get ourselves lost in the woods (in literary circles, this sentence is called “foreshadowing”). 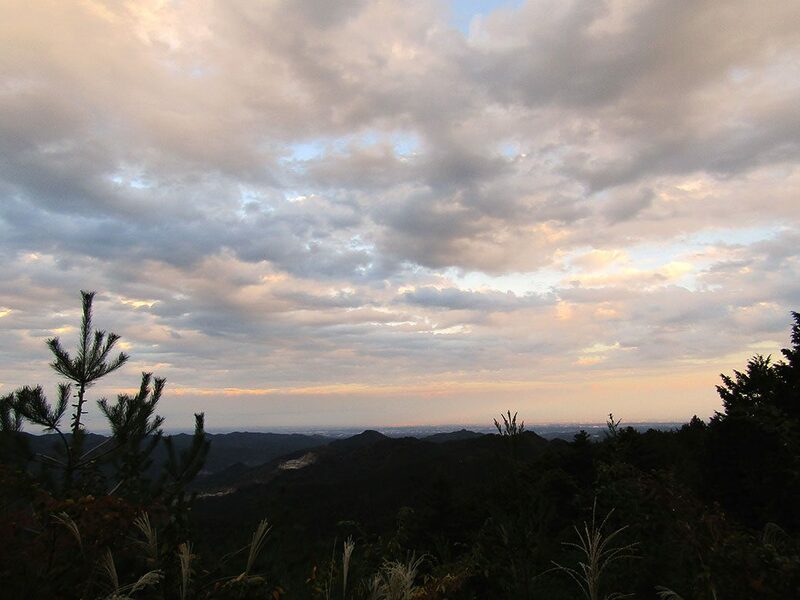 The tree-covered hills of the Okuchichibu Mountains are home to a decent-sized population of Asiatic black bears. Most hikers wear a bell like this one to keep from sneaking up on a bear in the woods. We arrived at Agano Station, the starting point for our hike, around 2 p.m. The train station was selling bear bells, which we’d been meaning to buy for awhile. The hilly forests host a good-sized population of Asiatic black bears. The ringing of the small bells is a common sound on many of the region’s hiking trails. Knowing we’d be on our own for much of the day, it seemed like a good time to pick one up. Just down the street from the station, we made our first stop at Hoko-ji, a Buddhist temple established in 1386. For a small-town temple, it had several impressive pieces, although its most impressive didn’t even belong to the temple. 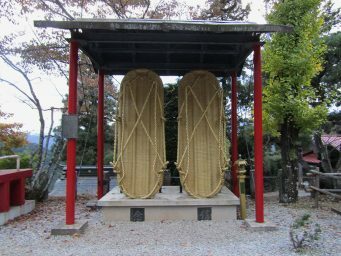 Large bronze bells (ō-bonshō) are a fixture at Buddhist temples. 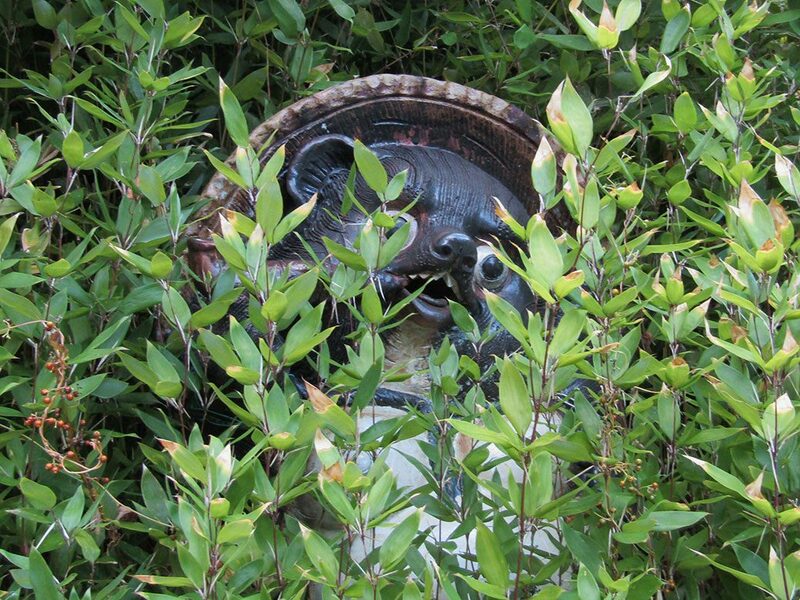 This particular one was part of Tōzen-ji temple, located in Miyagi Prefecture on the northeast coast of Japan. The temple was destroyed in the 2011 tsunami and the bell washed into the ocean. Hoko-ji will continue to be the bell’s caretaker until the temple in Miyagi is rebuilt. An American of average height, I’m constantly ducking under things in this country! After ringing the bell a couple times, we passed through the low-ceiling tunnel under the train tracks and followed the path to Togo Park. 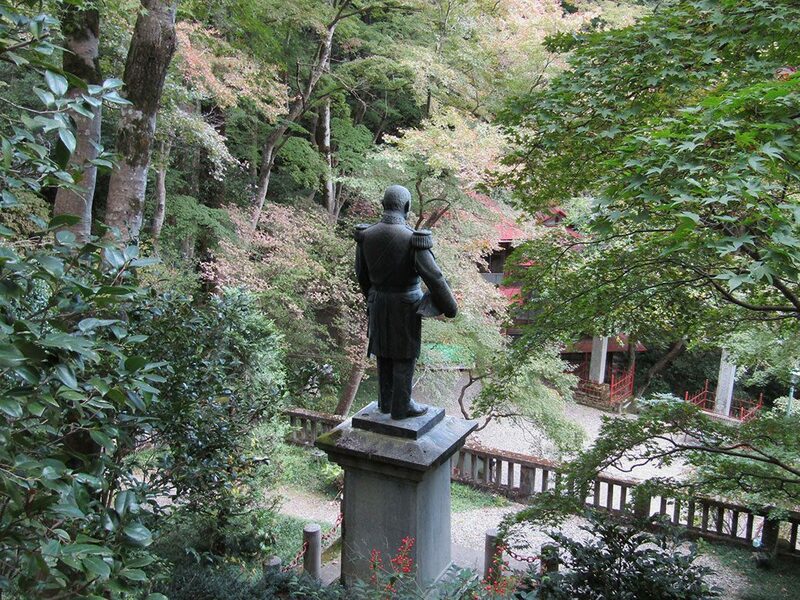 The park is named for Heihachirō Tōgō, an admiral in the Imperial Japanese Navy during the 1800s who grew up in the area. The steep-hilled park is popular for viewing the changing autumn leaves. Straw sandals are one of Hannō’s traditional crafts. 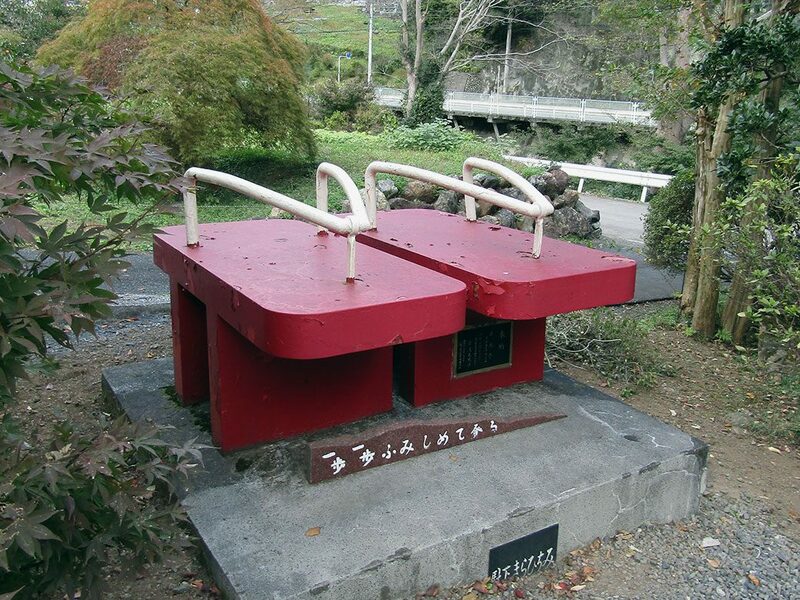 Large metal versions of the sandals are found in parks and shrines throughout the area. 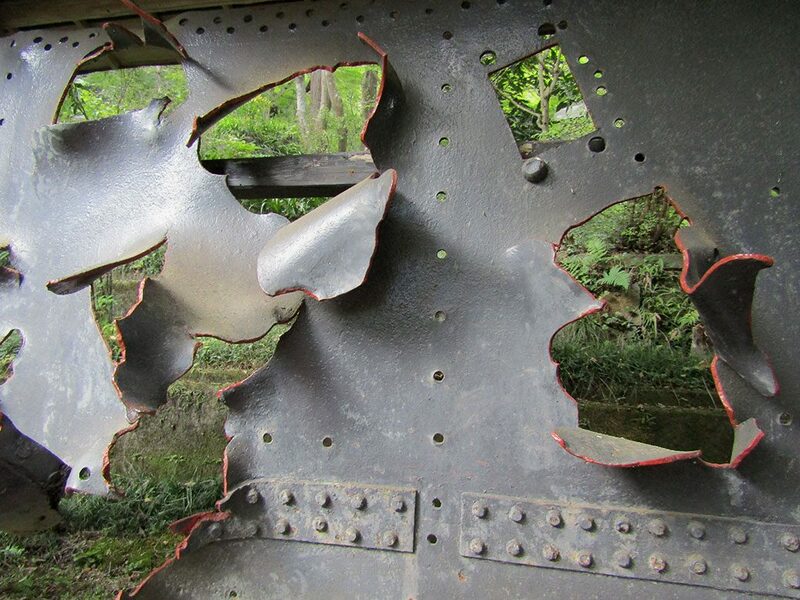 A piece of the deck from the battleship Mikasa is on display in Togo Park. The desk took heavy artillery fire during the Russo-Japanese War in the early 1900s. 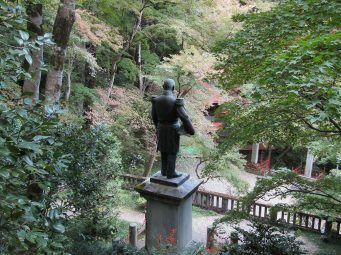 A statue of Heihachirō Tōgō looks down over the park named for him. Tōgō is one of Japan’s greatest naval heroes. 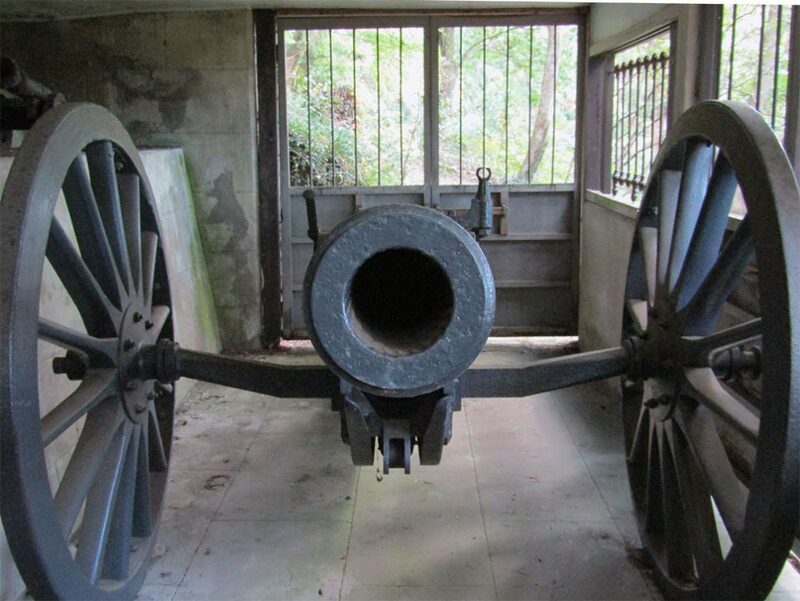 At the top, reached by climbing nearly 400 steps, we were rewarded by an outdoor “museum” to the Russo-Japanese War. A piece of artillery-shelled deck from the battleship Mikasa and a Russian-made cannon with artillery shells are among the items on public display. 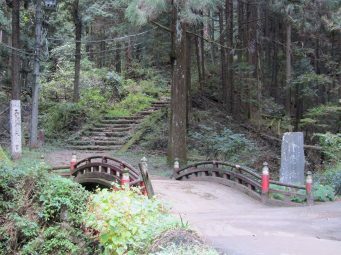 Higher up, a small bamboo grove surrounds Chichibu Mitake Shrine. The shrine is the only one in Hannō that has a Shinto priest living on site. Two cargo planes flying by, likely on their way to Iruma Airbase. Omiya, Tokyo and Yokohama can be seen in the distance, more than 40 miles away. An amazing view from the road near the entrance to Neno-Gongen temple. 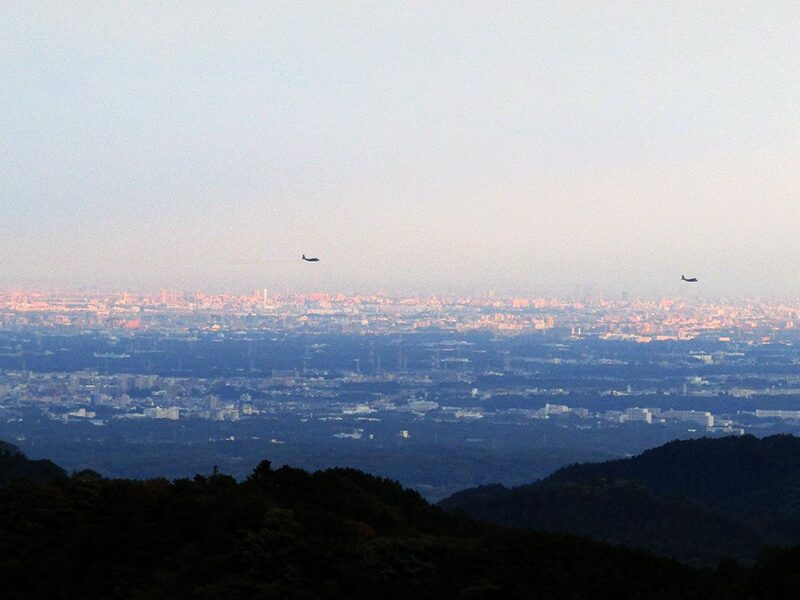 We could see all the way to Tokyo and Yokohama. 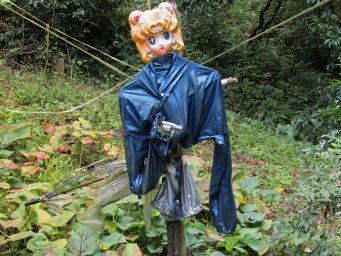 Scarecrows are usually to keep the birds out, but the .38 Special it’s holding seems to be directed more at the hikers. 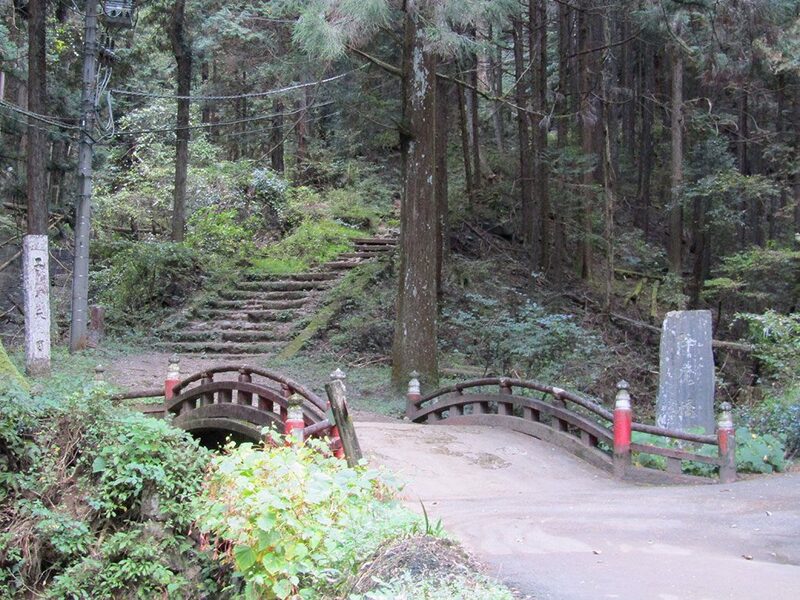 We climbed back down the steps to the park’s entrance and started up the road to Neno-Gongen Temple. Along the way, we passed Asamichaya, a teahouse and udon noodle shop that has been tucked away in the mountains since 1855. It was already closed for the day, but it’s still operating as a resthouse for weary travelers looking to fuel up or just grab a quick snack on the trail. As we approached the gates of Neno-Gongen Temple, the road opened up into an amazing view. Thanks to the clear weather, we could see all the way to Tokyo Skytree and the Yokohama Landmark Tower, more than 40 miles to the east. Neno-Gongen is all about extremes. 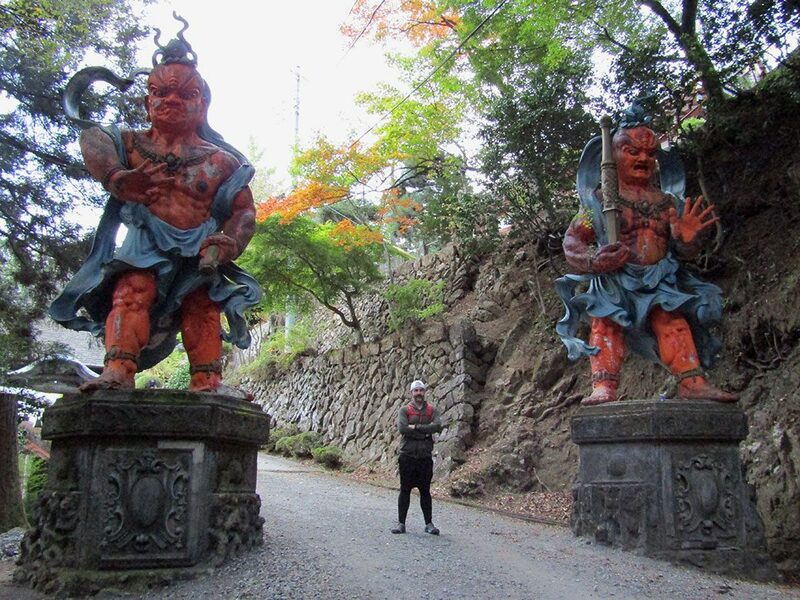 A pair of giant Kongōrikishi statues wait at the gate in their permanent intimidating poses. Inside, an oversized pair of straw sandals hang near the main temple with two more metal versions sitting nearby. 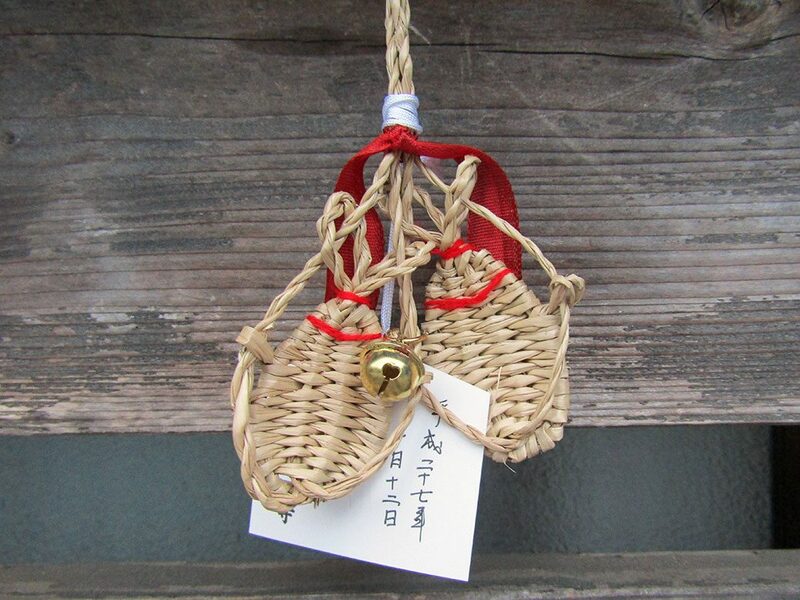 Opposite the giant sandals, miniature sandals serve as ema (prayer offerings) left by worshippers. 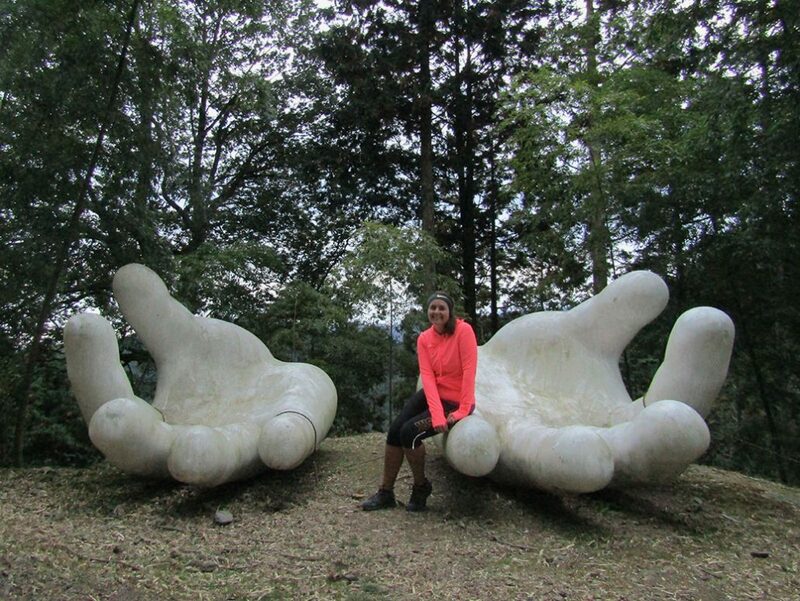 Down the hill, a pair of giant hands rest in a traditional Buddhist mudra position. Neno-Gongen was roughly the halfway point of our hike. It was exactly 5 p.m. when the sun started to disappear. We were literally in the middle of the mountains; too far to turn back, so we powered forward. We had about two miles remaining to reach the town where we’d catch the bus. In hindsight, we might have chosen to follow the road from the temple in hopes to find a passing car, but—to paraphrase Jung—wholly unprepared, we embarked down the path into the forest. The last photo of the day, tree trunks illuminated by the camera flash as only darkness awaited us. The trees quickly blocked out what remained of the sunlight. Soon, the narrowing trail was pitch-black. To the left, the slope of the forest. To the right, a drop-off into the trees. All we had for light was the display screen from the camera. 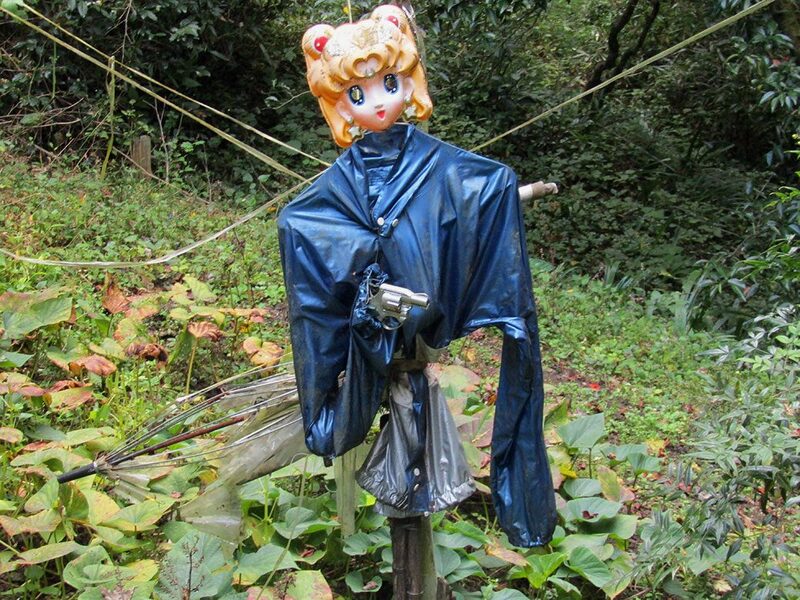 Things quickly turned into an amateur remake of the Blair Witch Project. Weird screeching sounds echoed through the forest. Rustling sounds—real or imagined—stopped us in our tracks. The journey slowed to a crawl as the path devolved into a steep slope entangled in a snarl of exposed tree roots. We arrived at Takedera Temple as the camera battery drained toward end of life. We used what was left of our light to find the nearest road. While it headed away from our bus stop, it would at least get us out of the forest. As we walked through the temple’s front gates, a motion-sensing security flood light flashed on, sending a rush of adrenaline surging through us that would last well into the night. Once we found the paved road, we followed it down in a half-run until civilization finally re-emerged. We saw a bus stop, but we’d missed the final bus of the day by 30 minutes. Certain that we were still some distance from a train station, we flagged down the first car that passed. A young woman named Yū stopped. Me: Do you know where the nearest station is? We drove… and drove… and drove. She told us she was going to Hannō to visit friends, so it wasn’t out of her way. But with the Japanese penchant for friendliness, she could have been a minute from home when she picked us up. We’ll never know. She dropped us at Higashi-Hanno Station. We offered gas money, but of course she declined. I removed the Totoro Fund button that we bought on our last hike from my backpack and gave it to her as a token of appreciation. If this is our last hike of the season, it certainly will be a memorable one! Neat hike. The photo of the dark forest is very cool and very Blair Witch-ee. Nice job not just going fetal and crying. In the states, if people were to immurg from the forest at night nobody would stop in fact if someone did you wouldn’t want to get in. I was hoping ninjas would emerge from the woods and take us into secret training, but alas… It is kind of amazing how many people we’ve received rides from, not only in Japan, but all over Asia. Regular people just looking to lend a hand.